Whether you’re in the UK or on the Riviera this September there are plenty of opportunities to see the latest builds from Spirit Yachts. Earlier this month, Spirit Yachts managing director Nigel Stuart launched the stylish new Spirit P40 coupé at the prestigious Cannes Yachting Festival. Attracting significant interest from visitors and media alike, the P40c is designed to offer flexibility as either a luxurious leisure motor cruiser or sophisticated superyacht tender. As well as exhibiting at Cannes, Spirit also showcased the P40c in the first ever ‘Concours d’Elegance’ parade. Held in the stunning Vieux Port in Cannes, the event is designed as an exhibition of the finest modern and classic day boats. Following a comprehensive judging process, during which the panel examined every aspect of each yacht’s design and build as well as the ‘elegance of the crew’, the Spirit P40c was awarded an honourable second place. At this year’s 47th Southampton Boat Show, the largest outdoor boat show in Europe, Spirit is currently exhibiting its newly launched Spirit 46’ and recently refitted Spirit 52’. Located in berths M273 and M274 respectively, the 46’ and 52’ Spirits showcase the iconic lines and structural integrity synonymous with Spirit Yachts’ modern classic design and build. Being unveiled for the first time at Southampton’s purpose built marina, the exquisite Spirit 46’ is a masterpiece of contemporary wooden yacht construction and demonstrates the classic elegant lines associated with Spirit. The essence of a true Spirit Yacht design and build, her glamorous looks are coupled with the latest in modern yachting technology, including carbon spars and rigging. Built for speed (she can regularly achieve speeds of 18+ knots) and weighing only 4.5 tonnes (of which half is her keel), the Spirit 46’ offers comfortable accommodation for up to five people and ample galley space. With all controls led aft to the cockpit, short-handed or single-handed sailing is accomplished with ease, whilst a full regatta can be undertaken with a crew of just four. 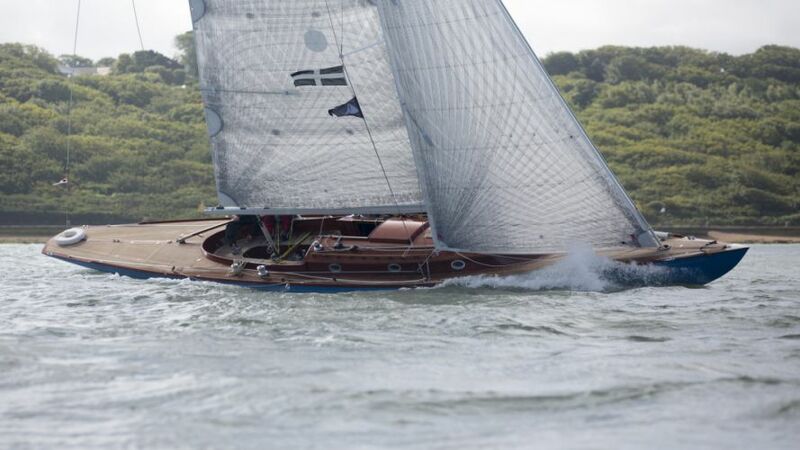 Ahead of her showcase at Southampton, Spirit 52’ Flight of Ufford continued her successful racing career on the classic regatta circuit by winning her class at the British Classic Yacht Club Panerai regatta in Cowes. Designed, built and owned by Spirit CEO Sean McMillan, Flight enjoyed eight seasons of competitive racing and family cruising before she underwent a refit earlier this year. Designed as a performance cruiser, Flight is closely based on the Spirit 54’, which featured in the James Bond film Casino Royale. Handcrafted using wood epoxy construction, Flight enjoys an impressive power to weight ratio; with a displacement of only eight tonnes she is an extremely light performance cruising yacht, with a top speed to date of 16 knots. The Spirit P40c will also be on display at the upcoming Monaco Yacht Show from 23rd – 26th September. Acclaimed as one of the world’s most luxurious yacht shows, Monaco is the essence of yachting style and showcases only the finest in yachting design and construction. 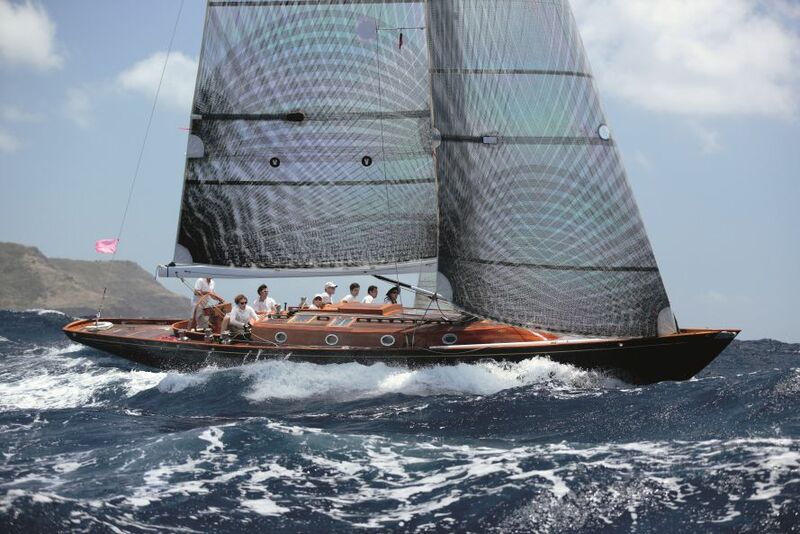 To book a test sail or private viewing of any Spirit yacht, please email [email protected] or phone +44 (0) 1473 214715.